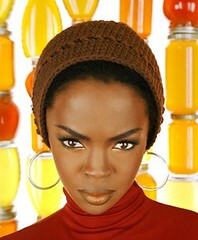 Fugees-Online.de - Wyclef Jean, Lauryn Hill, Pras: New and rare song by Lauryn Hill leaked! New and rare song by Lauryn Hill leaked! "World Is A Hustle" is the alleged title of a new, rare song by Lauryn Hill that has just leaked today! Apart from the title, not much information was given by the YouTube user who uploaded the song. Lyrics: "World Is A Hustle"
Download: SOMEONE uploaded the MP3 of this unreleased song, get it here! PLEASE NOTE that the quality of this file is rather low!